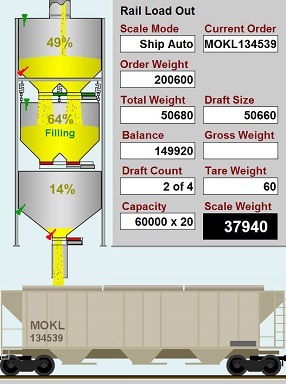 Do you need a rail load out and receiving system that provides added speed, efficiency, and maximizes profits from your bulkweighing operation? Don’t miss your $10,000 Rail Bonus! The real beauty of this system is that the SmartRead III RF tag system automatically reads the RF tag railcar numbers and automatically creates your in-transit list so cars can be processed without any human intervention. 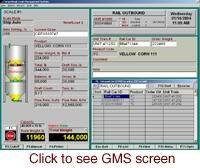 Coupled with the SmartCar database containing all railcars that transport grain in North America and their relevant weights, GMS-4000 will also calculate the optimum load out weight for outbound cars. You will eliminate fines and ensure maximum profits by loading to the legal limit allowed. An entire 110-car unit train can be entered into the system within 10 minutes. This not only improves speed required to complete the load-out process, it greatly enhances the safety of the entire loading process. Powerful User Interface: All operator actions done thru use of simple function keys, or full mouse support. All scale operations are handled from one ‘window’ including preparing data and running the scale. 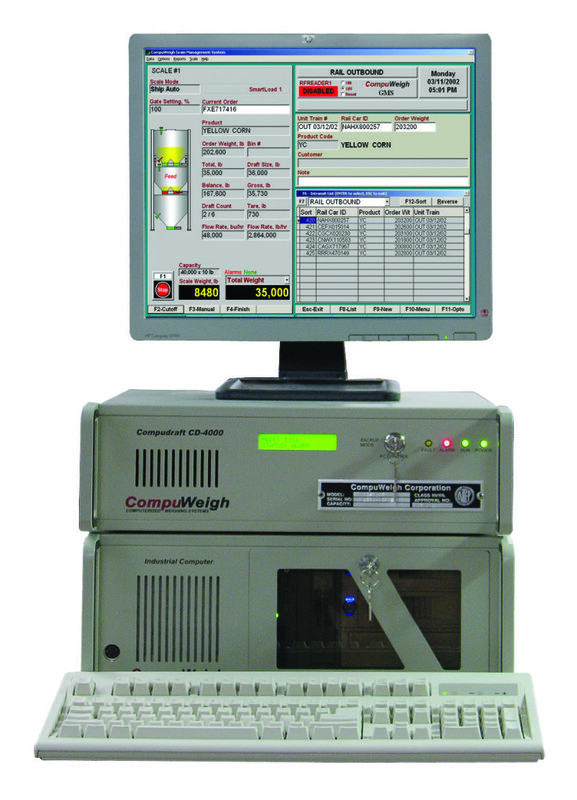 Reliable: CompuWeigh manufactures The GMS-4000 industrial computer for use in harsh environments. Also, a simple switch of a key allows full operation from the CD-4000 scale controller if ever required. Smart: Building upon the SmartRead III/SmartCar system, CompuWeigh SmartLoad allows system to automatically read the next railcar, filling the weigh hopper and lower garner during the ‘dead time’ between rail cars. This can save up to 1-½ hours per 110-car unit train. Modular: Options like FGIS Grading and SmartBin Inventory can be added at any time – all the way up to full automation without the need to throw out equipment or retrain staff! CompuWeigh’s Industrial Computer is a specially designed workhorse for harsh environments and has a number of advantages over a standard PC including, shock mount suspension, heavy-duty fan, filtered air supply and lockable access door in an industrial UL listed steel enclosure. The CD-4000 Controller is a part of the Compudraft Series of controllers that weigh over 50% of all the grain weighed in the U.S. Each unit has a single-board microcomputer with a heavy-duty power supply and is mounted in an industrial steel enclosure. The controller has no moving parts except for the key switch on the front panel that allows the monitor and to work with either the CompuWeigh Industrial Computer (normal mode) or with the CD-4000 Controller (backup mode). The 19″ heavy-duty steel frame is rack mountable, includes shock mounted disk drives, stabilizing clamps for video cards, dual push pull cooling fans controlled by SmartFan to reduce dust infiltration, replaceable air filter, heavy-duty power supply and key lock front panel. Built-in serial ports can be programmed to communicate to devices such as RF tag readers, printers, remote displays and automatic grading equipment.